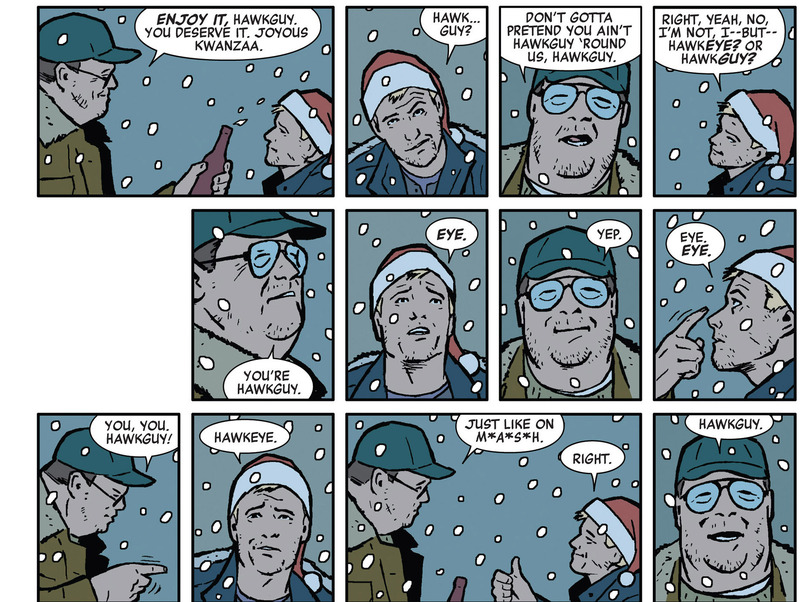 Poor Hawkguy. Dude gets a shiny new Hot Toys figure for Civil War, and is promptly upstaged by the coolest little bonus accessory possible: a bonus arrow carrying an Ant-Man-shaped payload. 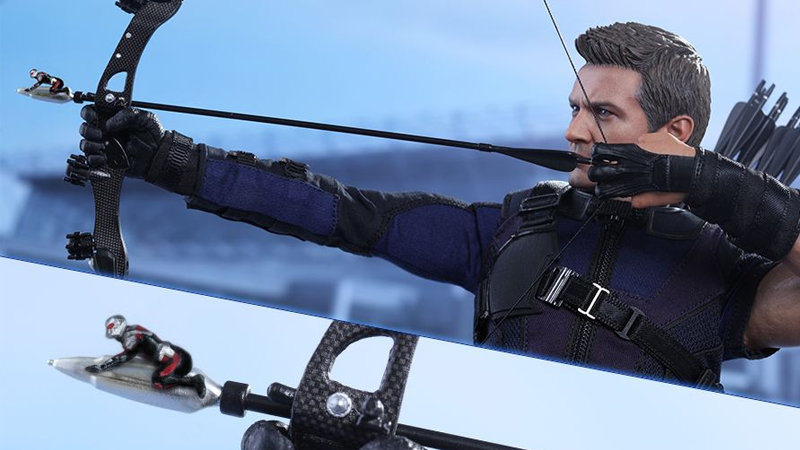 Sure, the 1:6 scale figure of Clint Barton himself—dressed in his new uniform from the upcoming Captain America film—is very nice in and of itself. It comes with a quiver of 16 arrows (and a plethora of alternate arrowheads) as well as a bunch of alternate hands to hold his bow, pistol, or dagger. Itself an homage to the classic Ed Hannigan cover to Avengers #223. (If anything, it’s more faithful to the original cover as Antman isn’t hidden inside the arrow like he is in the film.) It’s a very cool addition to what would otherwise be a relatively plain action figure. The Civil War Hawkeye figure is due for release at the end of the year. While no price has been confirmed yet, you can expect the usual $220-ish Hot Toys figures go for when it appears for preorder on Sideshow Collectibles.